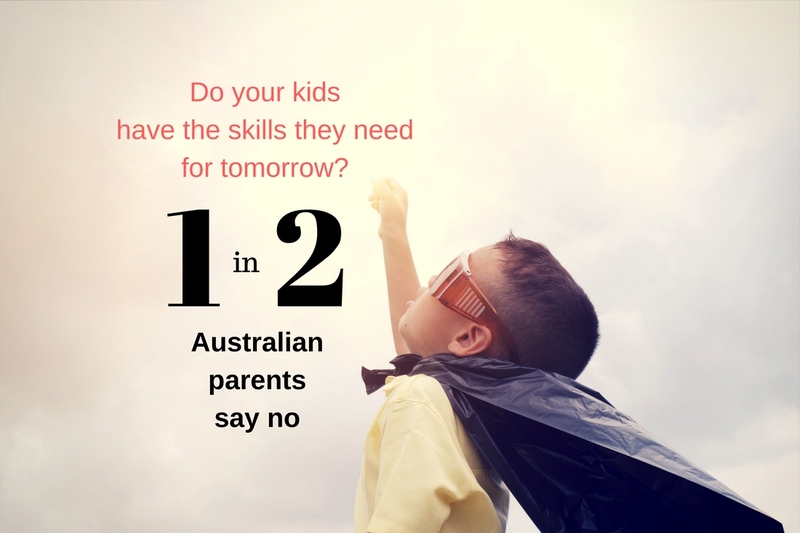 Half of all Australian parents don’t believe their children are equipped with the skills needed to thrive in future. Are you setting your kids up for success? In a recent big bank survey of 94,706 Aussie parents, 50% of respondents replied ‘no’ when asked whether their “kids have the skills they need for tomorrow”. Yet as a parent, it’s vital that you start thinking of technological change as a wave of opportunity, not a wall of disruption and destruction. “Creating a positive future of work is perhaps the single most important issue we face as a society,” says Futurist Ross Dawson. Who authored the Commonwealth Bank Jobs and Skills of the Future report. Here are five areas in which you can give your children a leg up over their peers. Still wondering what subjects you should gently encourage your children to study? Well, in 2013 the Australian Industry Group identified that there was a national skills shortage. Particularly in the fields of science, technology, engineering and mathematics (STEM). “The forecast shows that 45% of employers are seeking to increase STEM qualified staff over the next 5-10 years,” says Dawson. To stand out from the pack, your child should aim to excel in one or two specific areas of work and become an ‘expert’, Dawson says. “It’s important to follow their passion, but also to consider whether the skills they’re developing will still be valuable in five, 10 or 20 years’ time,” he says. To further bolster their resume, your child can look forward to receiving recognition for shorter learning journeys. “Rather than multi-year degrees … education institutes will begin to offer ‘nanodegrees’ that show competence in a specific domain,” Dawson says. You also need to fuel your child’s appetite for learning. “Discover what (your child) most wants to learn about, and design it to be as fun and social as you can,” Dawson suggests. And don’t forget to prepare your child to be adaptable to unforeseen challenges. “Given the exceptional pace of change in the world today, no-one can expect a job for life or even a consistent role for many years,” Dawson says. Buying decisions are now made with the tap of a card or an in-app smartphone purchase. This has contributed to one in five 15-year-olds being below the baseline of standard money management skills. “Ensure your child understands the value of money from a young age by talking about your own money situation with them: how it is earned, spent, invested or donated,” suggests Dawson. Arming your child with the right skills is vital. But it’s equally important to secure their future with a back-up plan. So come in and have a chat with us about the many available options for ensuring your child’s future.